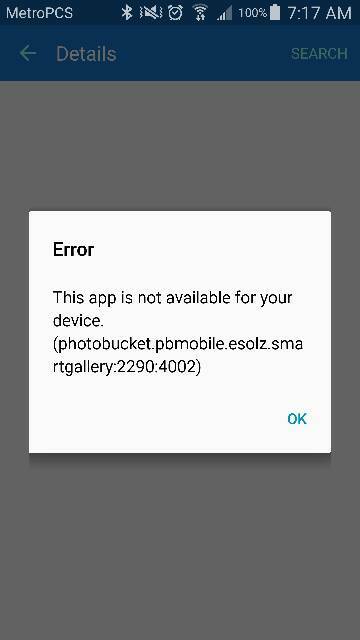 I was just wondering if anyone has been able to download photo bucket for Samsung through the Samsung app store? Yes and it works well. I have tried. I have used the link that was in the post about it on the AC website and I got a pop up that says it doesn't work with my phone. I do a search for it in the Samsung app store and it doesn't even find it. The one you have pictured is the one on the Google play store. 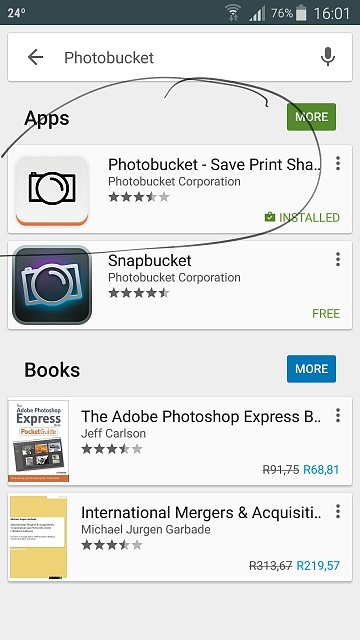 Not the Photo Bucket For Samsung that was wrote about on the Android Central website. They are different. Sorry, I do not use the Samsung app store if I can help it.... So i Have photobucket with the Samsung add on. Should I Buy a NIB Black Leather Sprint LG G4 for $340?? How can I make the font size larger for the internet?